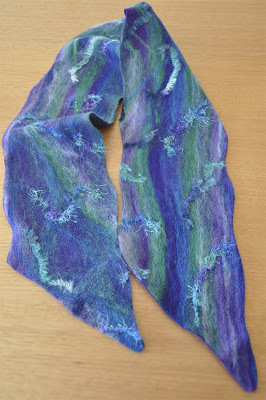 I made this scarf as a birthday present for my friend, Wanda. She loves these colours and was delighted with her present. However, I had forgotten to photograph it, so I had to borrow it back to take this photo. A beautiful scarf, lucky friend.